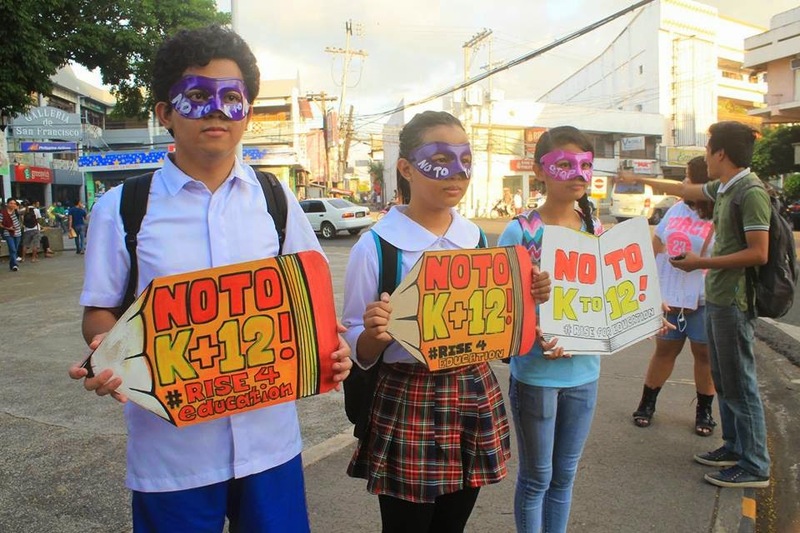 NAGA CITY—Members of advocacy group Karapatan Bikol staged a protest at the Plaza Quince Martirez yesterday, May 6, to reiterate their objection against Department of Education (DepEd)'s K to 12 program. Said program has recently been under fire as petitions to suspend its implementation have been lodged at the Supreme Court. 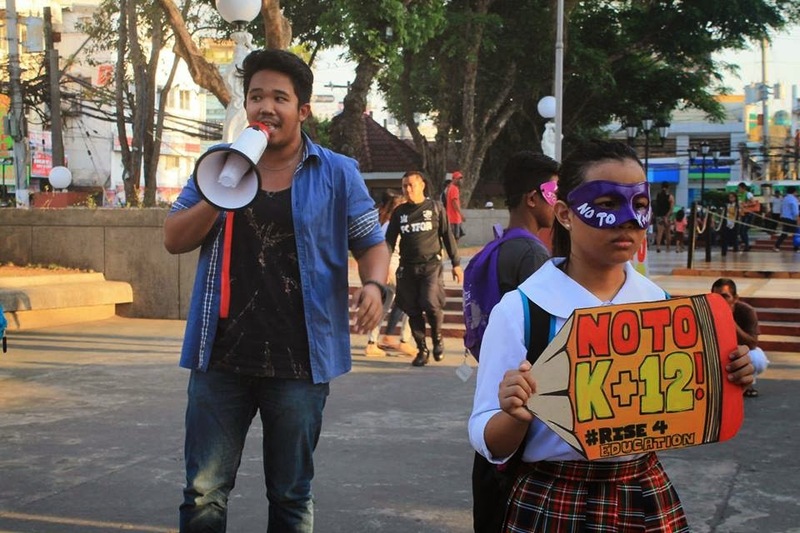 "Not yet fully implemented, the Aquino administration's K to 12 program has already caused enough burdens to the toiling Filipino youth, teachers, families and the education sector as a whole. While the government continues to package the so-called reform as the messianic solution to the problems of education sector, it only aggravates the existing problems and neglects the perspective of the prime stakeholders in the issue. First, the K to 12 program shuns current, more urgent problems, like the actual deficiencies in classrooms, desks and chairs, libraries, toilets, books, and even teachers. 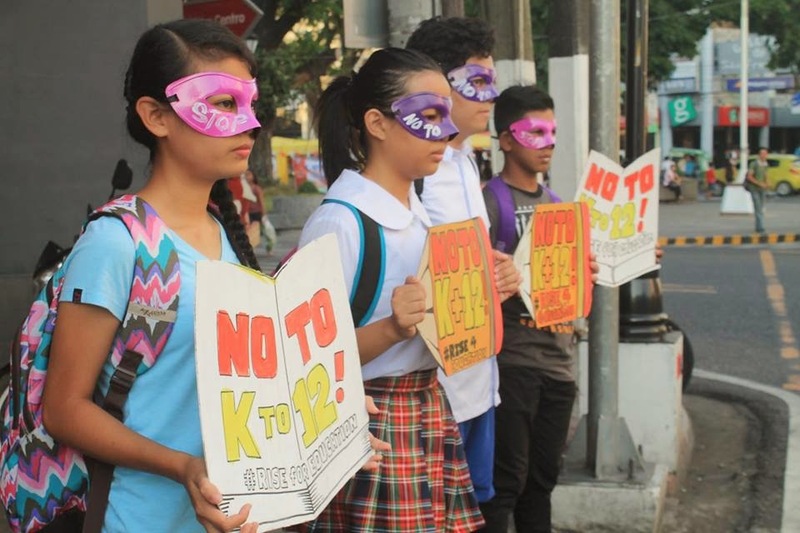 More importantly, the K to 12 also neglects the continuously declining quality of education, testified by the low National Achievement Test results in the country. Add to these the continuous budget cuts for education. 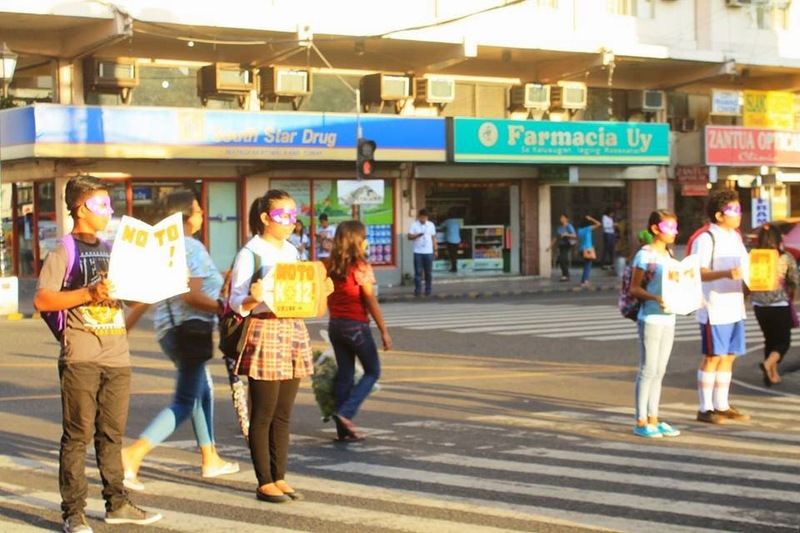 Instead of addressing first these issues, the government prioritizes a program that only has the effect of worsening them. It is hard to imagine how it can make room for new facilities and modules to be used in K to 12 when the existing ones already prove ineffective and problematic. Ultimately, the K to 12 is geared towards producing semi-skilled workers for export abroad. 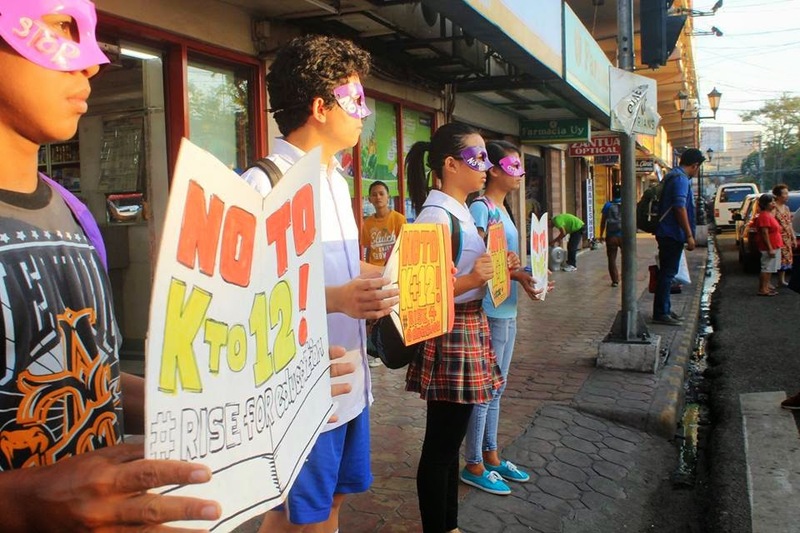 Because K to 12 graduates are packaged as “ready” for work, it becomes a scapegoat for the lack of proper jobs in the Philippines and the skyrocketing cost of education. 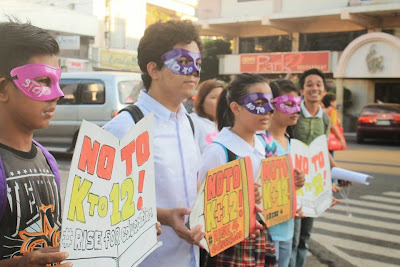 This is why today, we, the Bicolano youth and teachers, will gather to pose to oppose the hasty implementation of K to 12. 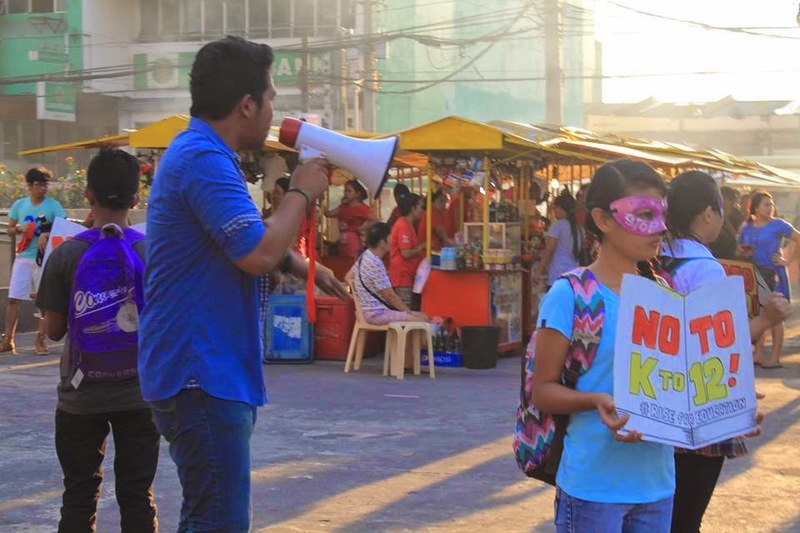 From 4:30 to 6:00 PM at the Plaza Quince Martires, we will use protest art to reverberate our call for a free and accessible nationalistic, scientific, and mass-oriented education."